Does your culturing take to long during the winter months? Strong yeasty taste and no fizz? 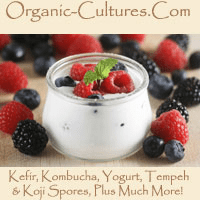 Now you can make the best kombucha tea beverage and other cultured foods year round! With an electric Fermenter Wrap Heater for carboys, fermentation buckets, or gallon glass jars. Use a fermentation wrap heater during the cold winter months to continue brewing all year long! This style of wrap around heater will gently heat fermentation, spore production, and beverage brewing. Use tape to adhere this flexible heating wrap directly to your fermenter. Depending on your configuration and insulation, you can increase the temperature of your ferment from 5-20 degrees F. If using carboy or bucket you can attach directly using tape. We recommend electrical tape as it sticks and removes the easiest. Heating can be controlled by sticking either the entire wrap or a portion of the wrap to the fermenter. In an unenclosed environment, we see a heating differential between carboy and ambient of 10-15 degrees. Increase the differential by using materials to insulate a carboy/fermenter (Take caution for fire safety). To decrease the temperature differential, stick only a portion of the heating wrap to the fermenter or culturing container. For best results, we recommend a temperature controller and carboy thermal well for the ultimate in fermentation temperature control. A culturing fermentation heater gives better control of the temperature of your fermentation, which provides you with better tasting cultured foods, beer, or wine. 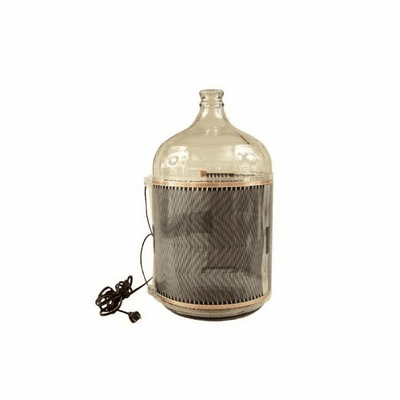 A fermentation wrap heater will gently heat a carboy or fermentation bucket 5-20°F greater than the ambient temperature, depending on the configuration and insulation. This heater can attach directly to your carboy or bucket using electrical tape. The temperature is controlled by the amount of heater connecting to the container. However, the best option is temperature controlled for best results.